After a punishing year for anyone looking to buy a home in and around Seattle, the fall price cool-down that many buyers have been waiting for hasn’t arrived with much force. The good news for buyers is that Seattle isn’t setting any more home-price records like it did this spring. And the rate of home-price increases has slowed to about half of what it was earlier in the year. But the bad news is that home costs are still growing much faster than normal, and exceed recent pay hikes. The market remains one of the hottest in the country, even though the region is finally starting to see more houses come on the market. Real-estate agents are mixed on the new data released Wednesday by the Northwest Multiple Listing Service. Some say it’s a blip on the radar — prices have slowed before, only to rocket back up soon after — while others say it’s a sign of a return to normalcy after four years of price growth. The following analysis of the Western Washington real estate market is provided by Windermere Real Estate Chief Economist Matthew Gardner. We hope that this information may assist you with making better-informed real estate decisions. For further information about the housing market in your area, please don't hesitate to contact me. Last week, the Seattle Times got their hands on a draft of the Housing Affordability and Livability Agenda (HALA) report and everyone freaked out about the prospect of Seattle bulldozing residential neighborhoods to make way for a city of microhousing complex (or something like that). Now, the final report is out and Mayor Ed Murray presented the recommendations on Monday. Let's find out what it calls for. Included in the report are approximately sixty-five recommendations on housing and livability in Seattle. The one getting the most traction? A proposal that would link mandatory affordable housing development in residential areas with linkage fees for commercial development. In other words, if developers agree to include affordable homes as part of their plans, or pay a fee into the affordable housing fund if they choose not to, then the city will relax certain zoning restrictions (though not in residential areas, says Murray). Fees would be based on square-footage. The "grand bargain" seems to have split the city council already, with only five of the nine members standing with Murray as he introduced the idea. The city council will have to approve the recommendations for them to take affect. The most noticeable difference from the leaked version to the final version is the change in wording when it comes to single-family zoning. That terminology is removed but recommendations that bring more density to tradition residential neighborhoods remain. Under the recommendation, 5 to 7 percent of units in residential projects would have to be affordable to lower-income families. The plan also calls for tax breaks for landlords who restrict large rent rises, easier access to housing for those with criminal records and a reduction in residential parking quotas. Ultimately, the goal is for Seattle to introduce at least 6,000 affordable-housing units to the market over ten years. If approved, the plan would start taking effect in September 2017.
" In this country, of all countries, a person’s zip code shouldn’t decide their destiny. We don’t guarantee equal outcomes, but we do strive to guarantee an equal shot at opportunity – in every neighborhood, for every American." 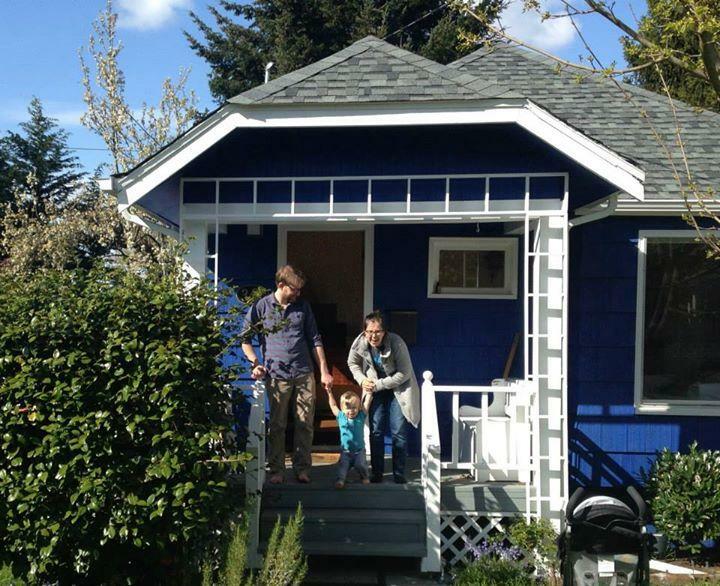 Single-family homes such as this one in Greenwood could be rezoned to become a multi-family dwelling should draft proposals by Seattle's affordable housing task force come to fruition. 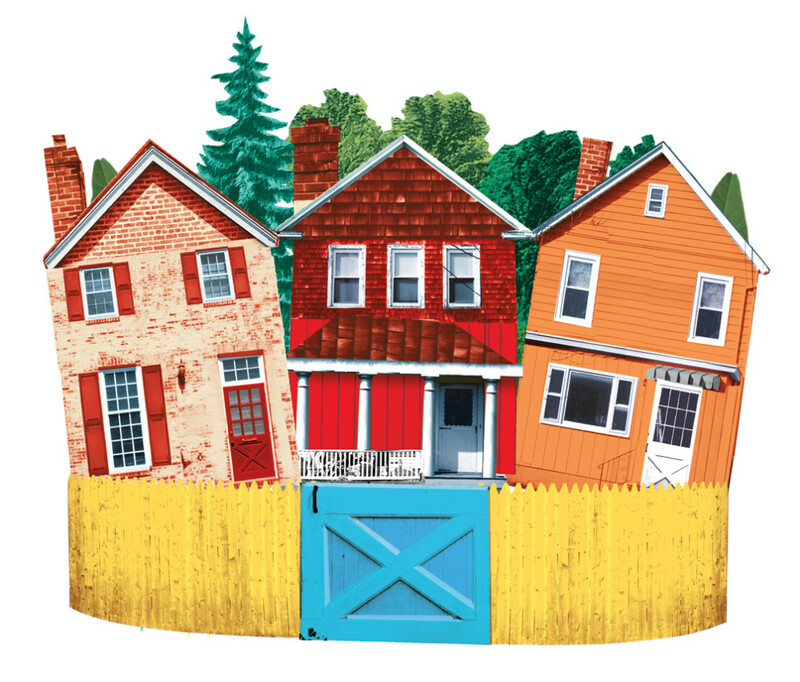 The current state of the city’s (sometimes crazy) housing market. Depending on how you feel about condominiums, Capitol Hill’s decade of precipitous growth inspires either delight or chagrin. But one thing is undeniable: This neighborhood’s hot streak shows no signs of letting up. Its population has shot above 45,000, which doesn’t even include the people who come here in droves for the restaurants and nightlife. The forthcoming Broadway light rail stop, set to open in 2016, has led to particularly ambitious development, including three multiunit projects between Denny and John. 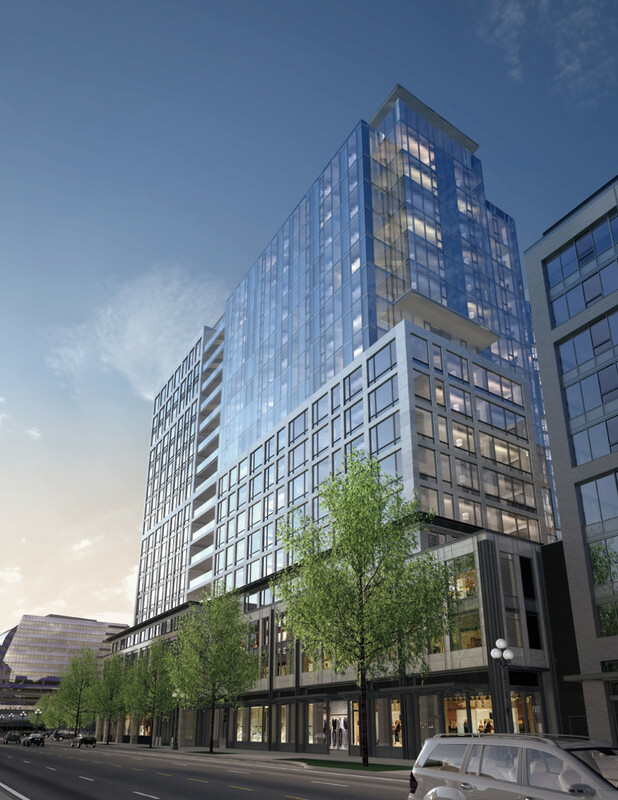 Market-rate apartments and condos make up the majority of proposed buildings, though at least 20 percent are dedicated to affordable housing. Sarah Lewontin, executive director of Bellwether Housing, a developer that at one point tried to build affordable housing on Broadway, says Capitol Hill offers “more density than people in the Northwest think of in terms of home ownership.” In other words, owning in such a desirable neighborhood likely won’t come with a garage and a yard, but it still comes with a premium price tag. Home prices rose nearly 5 percent over the last year. Hey, when you’re hot, you’re hot. 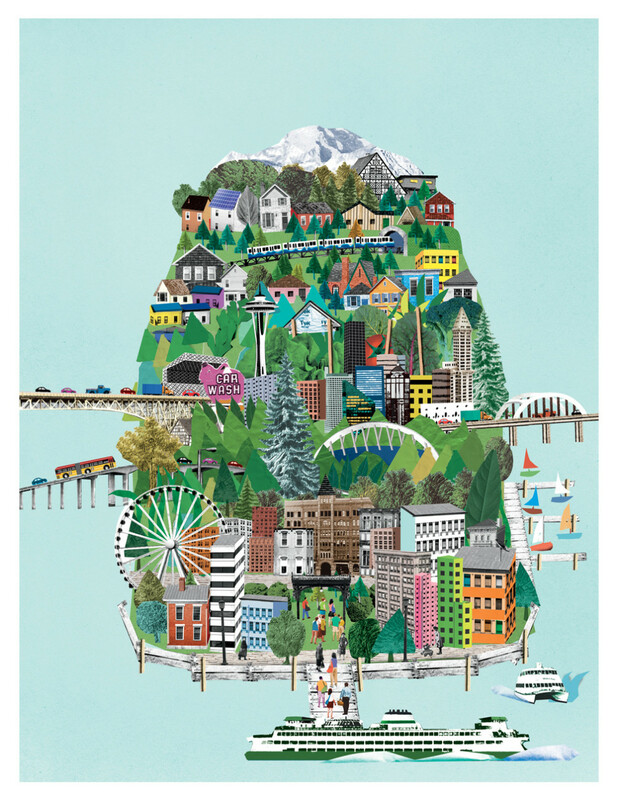 Just as prospective home buyers are opting out of the Ballard and Fremont rat race and settling further north, Capitol Hill–minded house hunters are finding respite from the madness by heading southeast to Mount Baker. Here, higher-end homes line Lake Washington, but between the water and Martin Luther King Jr. Way, rows of bungalows adorn the tree-lined streets and newer townhomes are peppered among them. Nate Stott, who recently bought a flipped property in Mount Baker, says he and his partner, Anne, “wanted a home with character, close to an urban center that is somewhat walkable.” The house they decided on was within their price range, but without the 10-plus offers he had encountered in other markets. Mount Baker has its own light rail station and is close to I-90, making it an appealing commute for people like Stott, who works on the Eastside. So you want to move to the 'Burbs? Just four miles southwest of downtown, old homes are purchased, renovated, and sometimes completely rebuilt at an impressive rate. Redfin reports that in 2013, West Seattle saw 98 homes flipped, gaining on average around $143,000 in value in the process. Combine that with a home inventory that’s the envy of other more centrally located areas (278 for sale at the peak of 2014), and you have first-time home buyers flocking to this older neighborhood long considered a family-oriented alternative to the density of urban Seattle. The Junction, a three-block stretch of California Avenue, provides the sort of dining and retail options usually associated with higher-profile family-friendly neighborhoods like Phinney Ridge. Perhaps no neighborhood has grown faster than South Lake Union, its population jumping more than 20 percent in just a single year. The reason isn’t exactly a surprise: Amazon, of course, owns significant real estate in the area, while other tech and medicine firms have sprung up around it—a self-contained universe of employees needing places to live. 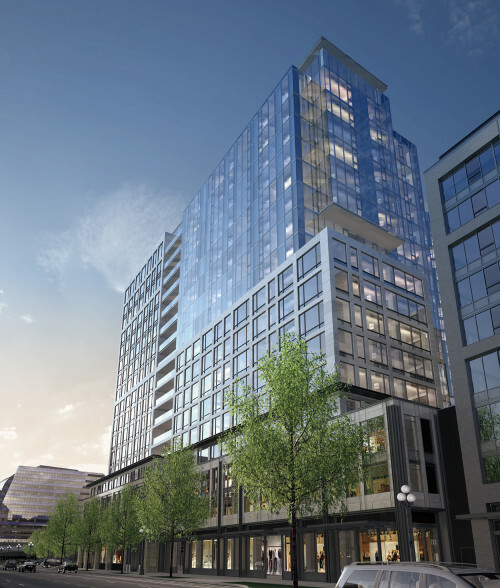 South Lake Union is addressing this need with a bevy of mixed-use residential projects among a torrent of other construction. Twenty-five buildings have been approved since March 2014 with another 42 in preliminary phases—all of this in an area less than one square mile. Lori Mason Curran of Vulcan Real Estate, says the rapid growth in a formerly industrial environment has created some unique housing developments. Take the Stack House Apartments, for example: A century-old laundry supply building forms the backbone of two residential structures that pair vintage bones with a ton of high-tech amenities like an indoor winter garden, gaming rooms, and rainwater collection systems. Listen, buying a house within view of Seattle’s many bodies of water is going to be pricey. That doesn’t mean some homes near the water aren’t more affordable than others. Just east of the Central District, facing Lake Washington, the mix of older and newer homes on Leschi’s lakeside slope enjoy the same stunning views as communities like Madrona and Denny-Blaine at more reasonable prices. There’s also quick access to the parks and docks along the lake. Leschi also boasts a more diverse community than many of its lake-facing neighbors, with 45 percent nonwhite residents, in a neighborhood populated largely by homeowners. Not only was Ravenna the most competitive Seattle housing market in 2014, it was one of the top 10 hottest neighborhoods in the country, according to a Redfin report. Homes stayed on the market for an average of just seven days, with an overall 11 percent increase in home value from the previous year. Not Capitol Hill. Not Ballard. Placid little Ravenna. Its old age in part makes the neighborhood so desirable, with its Craftsman and Tudor homes built mostly before 1940. Close proximity to the University District doesn’t hurt either, nor do the parks and highly ranked schools. Young families and tech transplants looking to buy their first home often start their search in Ballard…where inventory is down 7 percent from last year. 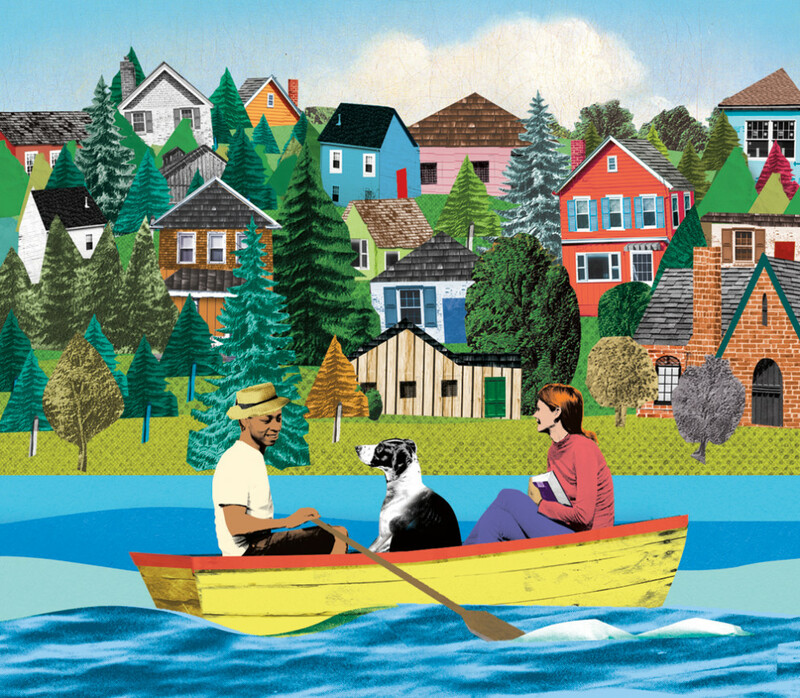 With such a competitive market and minimal homes to choose from, many would-be homeowners migrate north, where Greenwood’s 20 percent increase in home sales since 2014 makes it a new hot spot. “There are a lot of younger people looking for their first house who need more space to start a family,” says Redfin agent Adam Heater; his clients are finding the median price of $322 per square foot more affordable than elsewhere. Greenwood also enjoys the same sort of self-contained neighborhood feel Ballard likes to boast, only with much less condo development. The 85th and Greenwood block has a real main-street vibe, from the French bistro Gainsbourg to the newly opened (and instantly popular) Coyle’s Bakeshop. Throw in the easy commuting routes via I-5 and Aurora Avenue and the influx of young people looking to purchase home, and we might as well start calling it Ballard North. Between 2013 and 2014, Ballard saw a nearly 50 percent increase in listings of single-family houses, townhomes, and condos. And yet, home prices rose 10 percent. 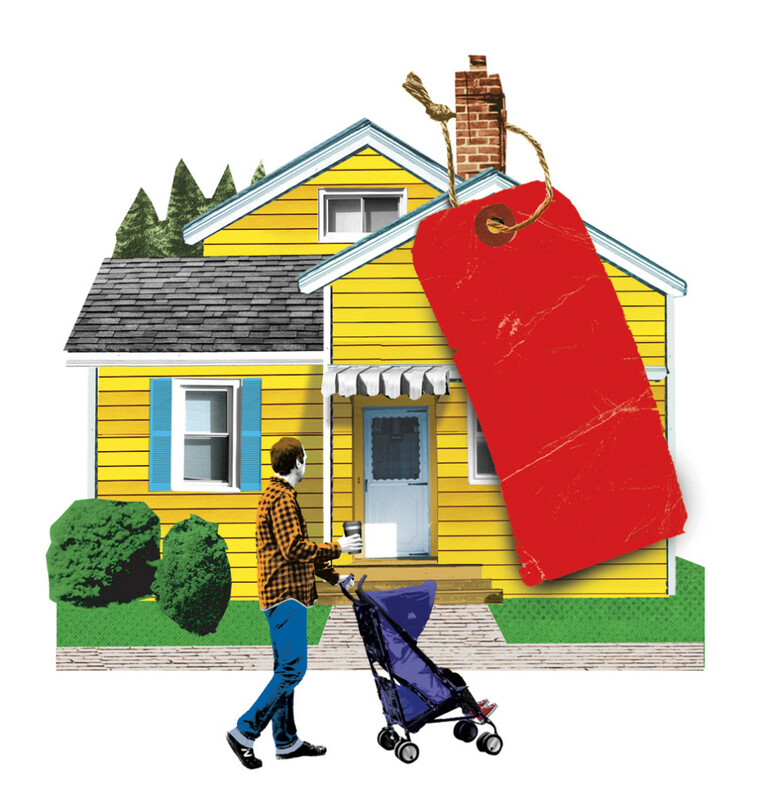 People are buying properties faster than developers can build them. Which isn’t surprising: The neighborhood is an ideal hybrid between urban and neighborhood living. A thicket of condominium projects have been completed or are currently under construction on and around Ballard Avenue, near some of the city’s most popular restaurants. No surprise, this dichotomy has prompted a real estate gold rush in the area, with 245 homes sold in 2014 alone, easily placing it among the highest volume of home sales in all of Seattle and surrounding municipalities. This southern Seattle neighborhood has seen a particularly steep increase in home sale price, up nearly 12 percent from this time last year. “Columbia City is much more hip than it used to be,” says agent Michael Ackerman. “People buy there because they like the flavor and diversity of the neighborhood.” This includes newer million-dollar properties built on the hills above older communities of bungalows and Craftsman homes. 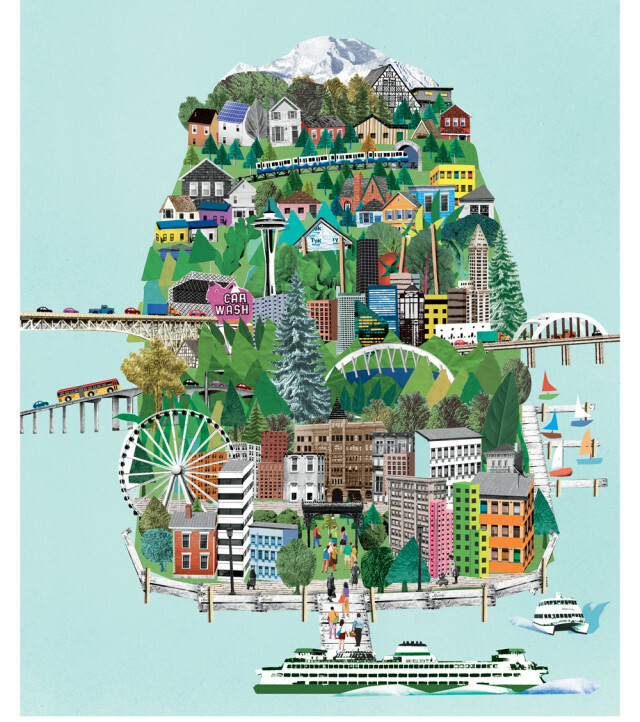 Not as remote as West Seattle, but far enough south to be considered a sort of sovereign community, Columbia City has a cozy, walkable main drag, cultural happenings at the Columbia City Theater, elite brunching at Geraldine’s, and a convenient light rail stop. Last year saw 144 homes sold here, and as interest continues to grow, buying and renting get more competitive with each passing year. Nearly 30,000 people work in the conjoined communities of Pioneer Square, one of Seattle’s oldest neighborhoods, and SoDo, one of the up-and-comers. Yet the combined residential population is just over 3,000, the smallest pocket of city dwellers in Seattle’s greater downtown area. That population is set to grow with the addition of the Stadium Place apartments, a massive 740-unit complex beginning the second phase of construction this year. One new waterfront building is currently in development off Occidental Park, and two new complexes on Fourth Avenue will add a combined 261 units to the area. This feature appeared in the May 2015 issue of Seattle Met magazine.